“You say swear words!” yells one woman. 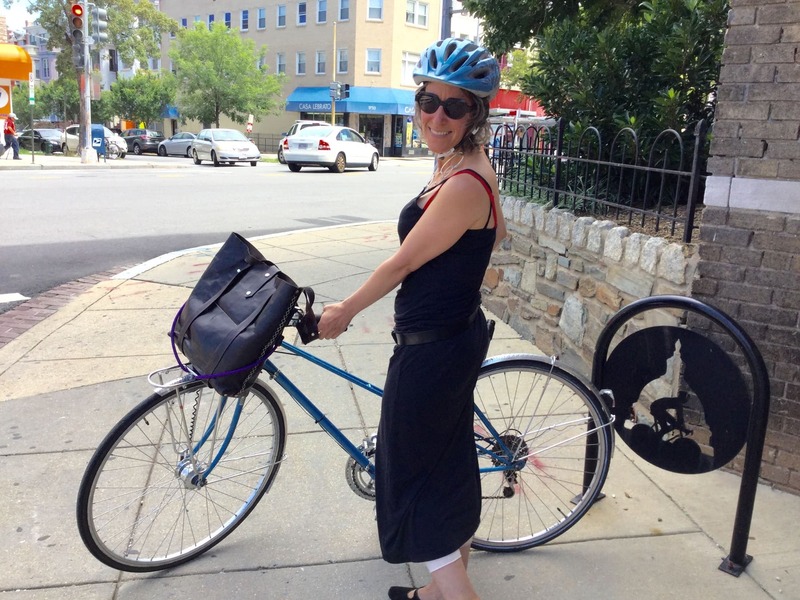 Shifting Gears–a Women & Bicycles workshop put on by Proteus Bicycles in College Park–is all about the what else. Led by owner Laurie Lemieux, the workshop put the emphasis on asking questions, finding answers, and helping one another with a part of bicycling that’s as intimidating as it is necessary. Most bicyclists are eventually going to have to change the gears on a bike. Nevertheless, many bicyclists don’t for fear of getting it wrong, messing it up, or breaking something. Shifting gears, to the novice cyclist, looks and feels complicated, comes with lots of odd noises and jarring motions, and as often as not, has opposite results from what they intended. Pedaling feels easier in a small chainring and harder in a big one (chainrings, by the way, are the toothy gears that are attached to the right crank, aka, the thing your pedal is attached to). The correct chainring for you is the one where you can pedal comfortably on the terrain you face–and that’ll differ depending on your strength, fitness, and preference. Because that’s not complicated enough, in the back of the bike pedaling feels easier in a big cog and harder in a little one (cogs are the toothy gears that are attached to the rear wheel; stacked together they’re called a cassette). Just like on chainrings, the correct cog for you is going to change depending on the terrain and your comfort and fitness levels. When you shift gears on your handlebars, the cables get longer or shorter, and the chain moves to a different cog (or chainring). It’s okay to do most of your shifting in the back (with your right hand), especially if you’re new to this whole shifting thing. Uphills and headwinds? Oh, geez. Use: small or middle front chain ring + bigger rear cogs. Downhills? Wheeeeee! Use: Large front chainring + a range of rear cogs, while humming a happy tune. Flat roads? Use: small or middle front ring + smaller rear cogs. Go ahead and use that big chainring if you are comfy! What the heck is cross chaining? Cross chaining means your chain is at an extreme slant from side to side. It can happen on any chain ring, and it means that you might be on your big ring in front and the biggest cog in the back, or son the smallest cog in front and back. Cross chaining limits your shifting options, and puts a lot of strain on the chain (this is not a great idea). If you notice you are cross-chaining, it’s a good indication that you could shift your front derailleur to give yourself access to more gears. How and when do I shift? When the terrain changes or a wind kicks up, or when pedaling seems harder. Are you going uphill? Facing a sudden headwind? Feeling tired? That’s a good time to shift. Try to shift before you get to the hill–shifting under pressure is hard on our bikes, and shifting when you are pushing hard is a leading cause of chains falling off. If you can shift before the hill starts, you win! A great tip- if you are in your front big chain ring and see a big hill coming up, try shifting to your front small chain ring. You may find you have access to more gears on your rear cassette if the hill gets longer or harder than you anticipated! When you shift going towards a hill, ease up on the pedals for a turn or two to lighten the load. On a flat road, if the wind is behind you, or if you are going downhill- shift to harder gears. Downhills + harder gears = free speed! Did you find this post helpful? Come try out those new gears skills on our next group ride, June 24, when we take on the rolling hills in the Women & Wine ride with Potomac Peddlers Touring Club! The Women & Bicycles Photo Series (#WBPhotoSeries) is a new project in the program that aims to demonstrate and promote the great and diverse group of women that make up the W&B community. As well as appearing on the group’s Facebook page and on Instagram, these features – a brief quote and accompanying photograph of the woman participating – will be published in a periodic consolidation of the portraits right here on this blog! For more information about the project, send me an email at emily.janas@waba.org. 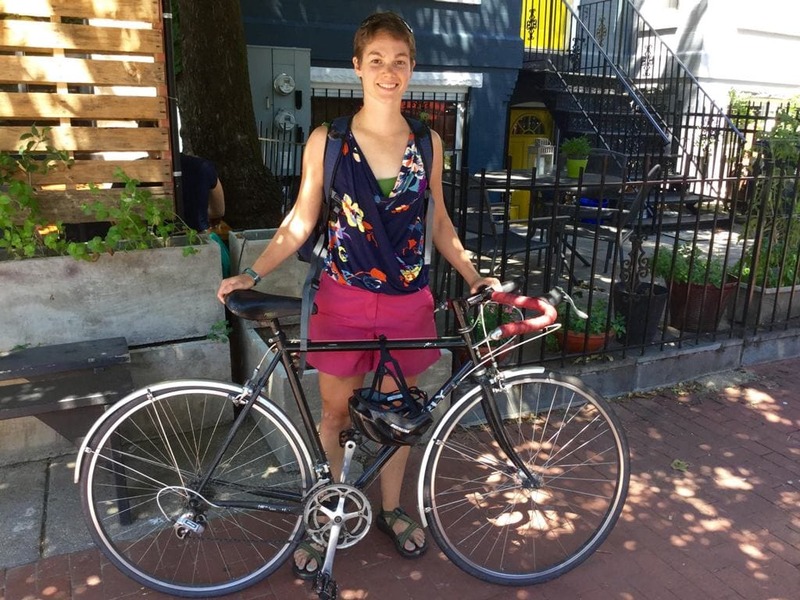 Ann DeSanctis, Brightwood Park, Washington, D.C.
Allison Corke Hasser, Takoma, Washington, D.C.
“My love of bicycling is something I really want to share with others, mostly because it was a huge life change for me. 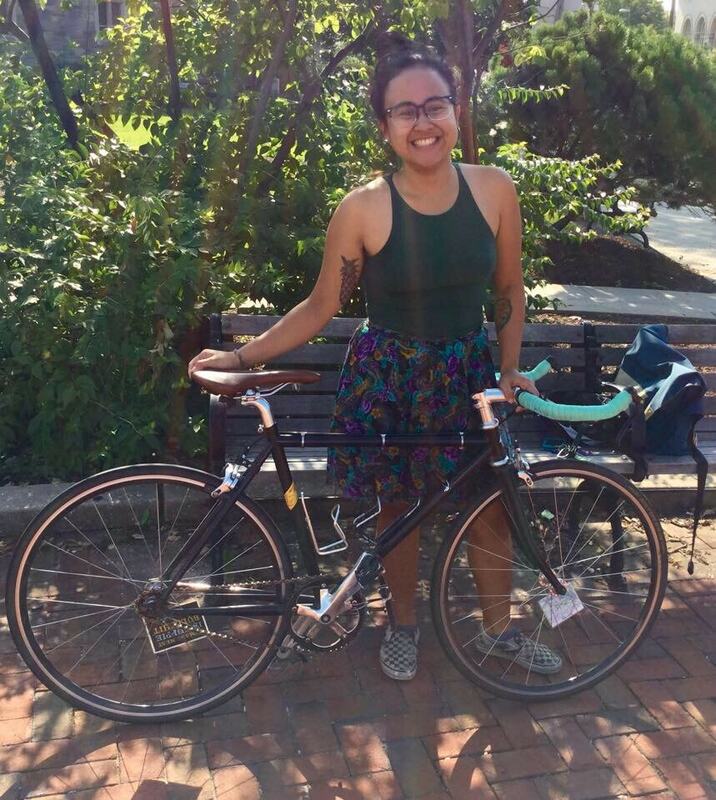 Coming from Florida, with always driving and being so isolated from other people and from the outside to where I am now, when it’s regular for me to bike everywhere – it’s just changed who I was. Women & Bicycles is proudly supported by The Potomac Pedalers Touring Club; hosts of the region’s most robust all-level group ride calendar and bike tailgates, Chipotle our delicious dinner party sponsors, and we’re supported by all our friends who donated through the Hains Point 100 ride. Recruiting Women & Bicycles Roll Models! With your help we will work to inspire, support, and mentor 500 women to get out and give biking a try in 2015! We’re a community of women working to get more women biking, teaching, and leading the bike movement. 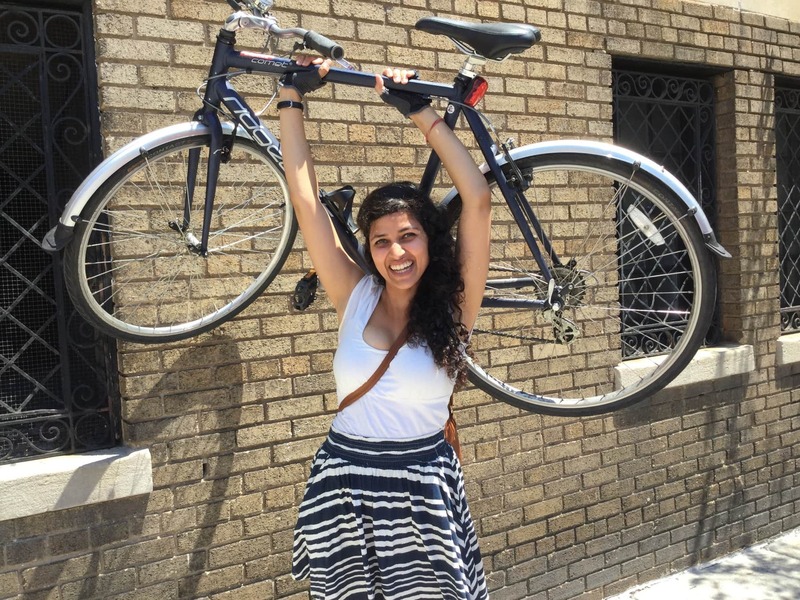 We connect with women in our lives who don’t bike and create opportunities to share information and tips and tricks, answer questions and concerns, and ultimately remove barriers to biking. It’s mentorship, this each one teach one method, that drives our community. Roll Models are official program mentors. Just like you, they are enthusiastic about biking and are already working to get friends and family members to give it a try. You achieve our program’s mission by bringing new women into the bike movement and serving as a personal mentor. Your mentorship is the crucial infrastructure in the bike movement that provides encouragement and information necessary for people new to biking. PLUS, as a Roll Model you get special prestige in our community and some great gifts along the way. This work is fun and rewarding and a great way to give back to your friends! Please click here to fill out our survey. Potomac Pedalers Sponsors Women & Bicycles! 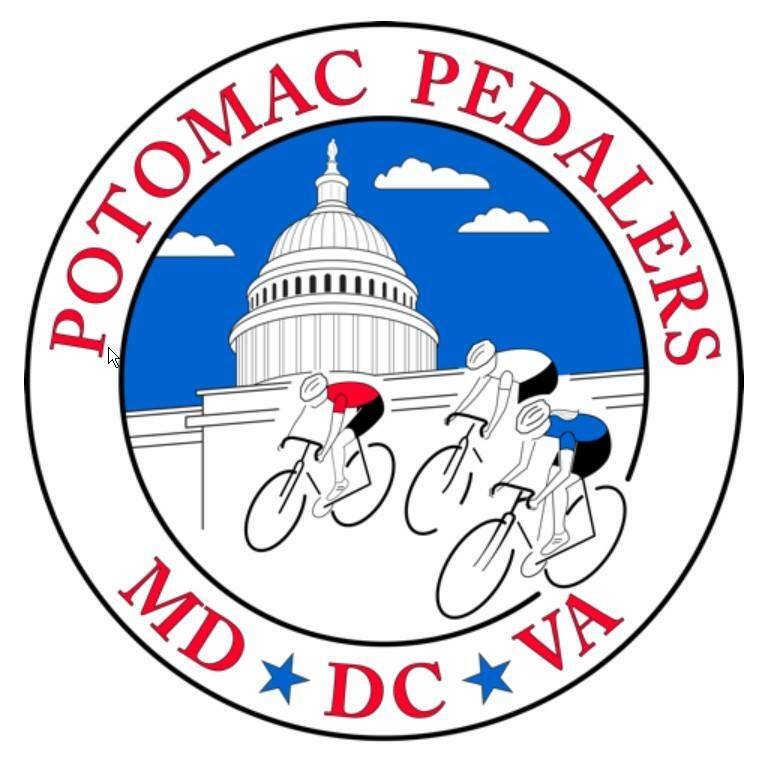 We’re proud and excited to announce our partnership with the Potomac Pedalers! Along with offering financial support, Potomac Pedalers and our Women & Bicycles group are partnering up to create four women-only rides (maybe more?) catering to different skills and biking goals, in different parts of the region, prioritizing fun and skillsharing! We’re working together because we’re committed to bringing out all types of people of all different bike abilities to experience the joys of biking and find camaraderie throughout the D.C. region. The Potomac Pedalers Touring Club is a non-profit educational, recreational and social organization for bicycling enthusiasts. They boast* the biggest membership and the largest ride calendar in the Metropolitan Washington DC area! And, they host the funnest bike tailgates. The first joint PPTC and W&B ride is scheduled for May 9! We’ll ride in Rock Creek and tailgate afterwards. Mark your calendars; details to come. *Actually they’re pretty humble about it. We’re so close! 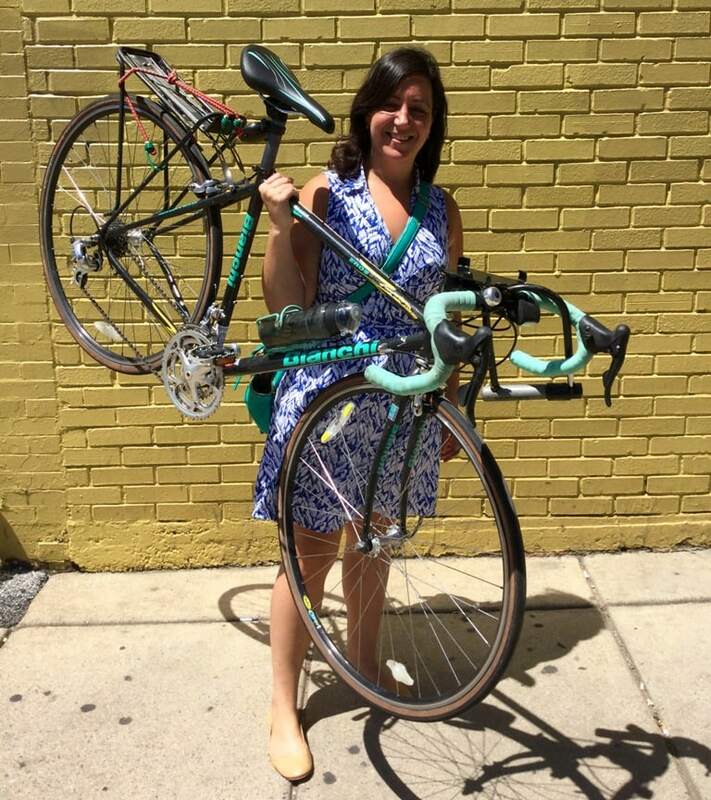 Help Women & Bicycles get to $10,000 by midnight! UPDATE: We did it! Thanks to everyone who contributed! We’re a 77% of the way to our $10,000 goal thanks to supporters like you! We have big plans for the Women & Bicycles program this year. Watch Nelle’s video to see how your $10 helps fund a part-time coordinator run 80+ events and recruit and train 50+ Roll Models in 2015. Please help use reach our $10,000 goal by midnight tonight! Women & Bicycles is proudly supported by The Potomac Pedalers Touring Club; hosts of the region’s most robust all-level group ride calendar and bike tailgates. We’re also supported by all our friends who donated through the Hains Point 100 ride. Help us recruit and train 50 Women & Bicycles Roll Models this year! Thanks to the more than 200 people who have already donated to our Women & Bicycles fundraiser, we’re two thirds of the way to our $10,000 goal! Click here to donate soon. Our fundraiser ends tomorrow at midnight! In 2013 our ten Roll Models shared their experience and expertise with 130 women in their lives. Last year a new group of Roll Models acted as mentors to more than 250. And this year our goal is to mentor 500 women! We’ve got some new ideas up our sleeves and we’re taking on a new approach to track all their success. Roll Models are the heart and soul of our Women & Bicycles program. Your donation helps us reach our goal of recruiting and training 50(!) of these heroic volunteers to act as mentors to their friends, family and coworkers as they start biking around town. Click here to donate soon. Chip in before tomorrow at midnight. We’re nearly halfway to our $10,000 fundraising goal! Click here to chip in your $10 today and help us grow our cycling sisterhood in 2015. Women & Bicycles is a uniquely diverse community that comes together to share skills. We bring out our friends and teach and learn and laugh and bike and eat and sometimes we can squeeze 7 people and their 7 bikes into a Metro elevator. And sometimes we can’t. This skillsharing is ingrained in our culture. 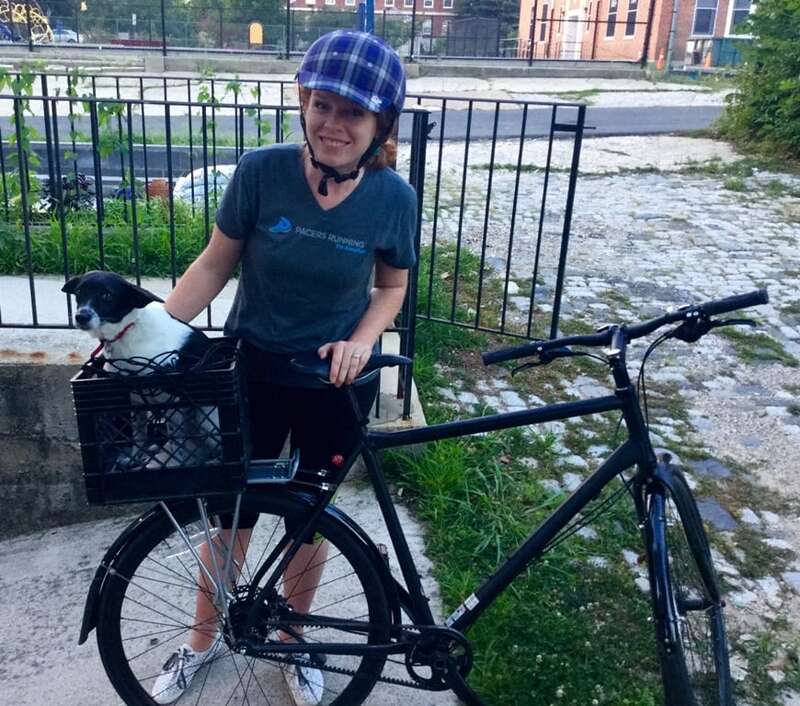 We’re committed to sharing all the tips and tricks of all things bike-related we picked up along the way; from how to feel safe biking in heels, and how to position yourself safely in an intersection, to testifying in front of council for safer streets. Our community is committed to deliberate skillsharing because we remember what it was like to learn the intricacies of biking in the city and we want to expedite that sometimes daunting process and make it fun. Because biking should be fun. Click here to chip in your $10 today. Your financial support allows us to facilitate skillsharing through events. In 2014 we organized 72 events. Check out what we’re creating in 2015! Plus! Monthly storytelling hours, weekly coffee clubs, and 50+ Roll Model Dinner Parties! Click here to chip in your $10 today and check out the slideshow of events we led, participated in or supported in 2014! Ready to donate? Click here to grow our program. Hurry though, we’re only fundraising til next Tuesday! Your donation will help us bring on a part-time coordinator to run our monthly rides, workshops and socials, and make our communications even better. Most importantly, your contribution strengthens the heart and soul of our program: Roll Models! We recruit and train these heroic volunteers to mentor friends, family and coworkers as they start biking around town. It’s a hugely successful program that builds confidence, builds community, and gets more women on bikes.